This post contains affiliate links that support our family and our blog and podcasting efforts. 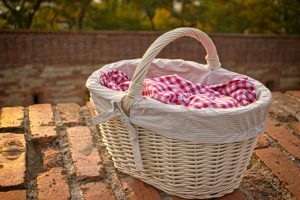 During a recent hospital stay for my husband, (story here and podcast here), we learned quite a few things about what people might need while in this situation. One thing became very clear: many people desperately want to help, but have no idea what to do. As a sidebar to that, the people going through the crisis sometimes have no idea what they might need at the moment. 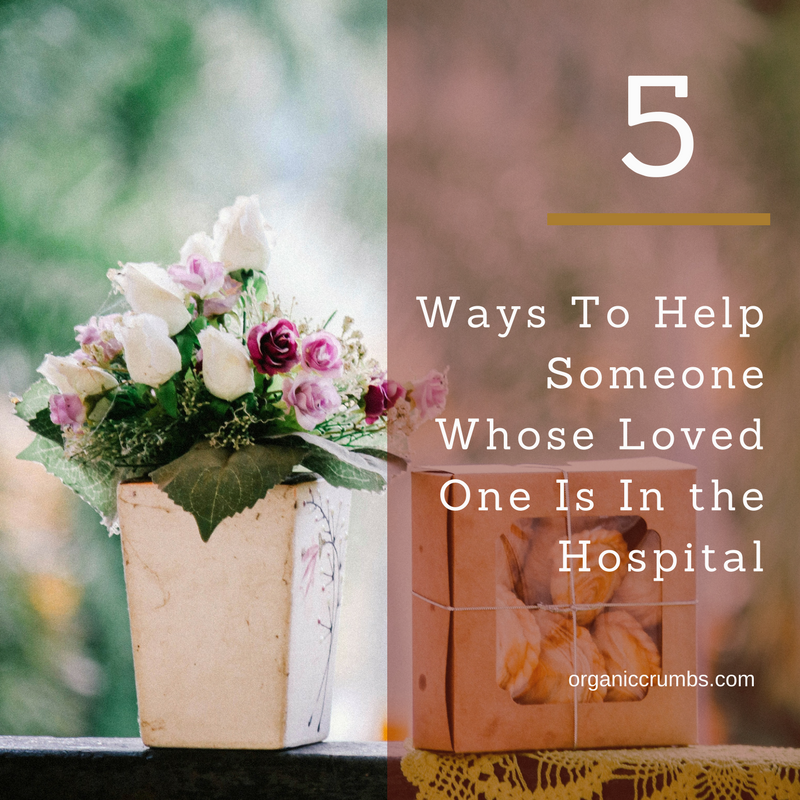 So after some experience and reflection, I have come up with some tips to share, to make it easier to help when someone you know has a loved one in the hospital. Especially in an emergency situation, the person whose loved one just went to the hospital may not even know what they need as all of their attention is focused where it should be, on the patient. I remember being asked if I wanted people to come. At that point, there was no way for me to process through that question. I told my mom that people needed to work it out for themselves whether they should come or not. I told my sister that I didn’t know if I needed her. But the reality is, if you are in any kind of real relationship with someone, and someone they love goes to the hospital for anything even remotely life threatening, you should be there. Something I have become really aware of lately is the need that we all have to have both a space for feeling and a witness to the experience of pain, trauma or difficulty. By showing up, you can be that witness. You can stand beside the people in the challenging times and hold a space for them to feel. When our crisis happened, I had only two things I was thinking of besides my husband: my kids and my parents, (but mostly my dad). My dad was supposed to be helping Tony build a screened porch that week. The goal was that Tony was going to do most of the work. With Tony in the hospital, suddenly my dad was left with this huge sweltering hot job (100+ degree temps!) and zero help, (my kids aren’t quite old enough yet)! I was really worried that he was doing too much and that he would push too hard. If the support person asks for something specific, it means it is a real need that is weighing on them. Helping in that area IS WHAT THEY NEED, even if it feels like something that isn’t important to you, or you judge that they need something else. Send out a FB request (with permission), tagging the support person in the post. Have you seen hospital food lately? It is very well balanced, but with poor quality ingredients with zero regard for individual needs. And let’s be honest, most hospitals serve food that rivals fast food in nutrient density. And it doesn’t even taste good. This is where us real foodies should be making a huge difference. Haven’t started working on building a garden for your local hospital or schools? That’s okay, just show up for your friends and family with real nutrient dense food in their time of need! I was blessed to have my friend, and fellow nutritional therapist, guide the real food wagon over to the hospital when my husband went down. I can’t begin to tell you how helpful it was to have good quality food on hand so I wasn’t always running out to provide meals! Remember, during healing, one of the MOST IMPORTANT components is getting the nutrition the body needs to do the work of repair, without the additives or chemicals that slow things down! ♦︎ Check Google Maps or other map app to find real or natural food restaurants local to the hospital. Chipotle is a good fallback. Schedule with the support person to bring meals that are hot and fresh. ♦︎ If you can’t get there, check in with Uber Eats or GrubHub to get food to the hospital on your behalf. ♦︎ As a last resort, send gift cards from local restaurants so that the support person can call in and take quick trip out to grab food easily. Do the research to find good places. This will really help your real foodie friend stay on track when it feels impossible! ♦︎ A small plug in cooler-This would be a bit of a luxury but would have helped me SO much while my husband was in the hospital. I used a regular cooler and was replacing ice and ice packs and dumping water and throwing away food all throughout our stay. Now obviously, this is NOT an exhaustive list, nor specified to your person. 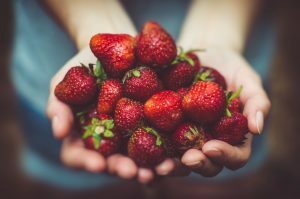 It is just to get you started with some ideas that can be very helpful when the support person can’t spend a lot of time thinking about what he/she will feed themselves, let alone the patient. If the patient is on a restricted diet, there might be a benefit in actually contacting a nutritionist (outside of the hospital) to see about getting some suggestions for the variations. Most of these things are available at stores like Whole Foods, or local natural food stores, as well as Trader Joe’s and Target, and of course, through the affiliate links provided. In our haste and desire to be of service, sometimes we forget to check in with the people we are supposed to be helping (and ourselves)! We show up stressed or anxious. We show up late or with bad timing. We don’t pay attention to cues about when to leave. Especially when visiting the hospital, it is important to take a moment and get yourself grounded and centered before going in to see the patient. If you are coming in anxious, you bring all of that feeling and energy with you. Conversely, if you are focused on how you can be supportive and looking for ways to help, releasing all of your own anxieties, your energy will feel more gentle and calm. Be aware of what you can really offer and have it essentially “in hand” before making the offer. Support people and people going through crisis are typically juggling a lot of variables that are uncommon to their typical life: Doctors, patient energy, paperwork, therapy schedules, general planning for absences, etc. When offering to help or bring items to people in need, be very specific in your language and timing. In this way, you can be a dependable resource rather than another ball in the air to manage. If you want to help but aren’t sure of when or how, just let them know you want to help and then get back to them when you have clarity. Laughter truly is the best medicine. 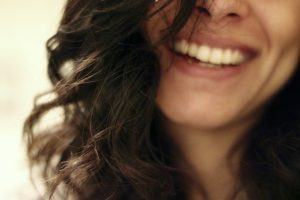 There are literally thousands of studies that point to the importance of good attitudes, positive thinking and yes, even laughter, for healing. I know that in our situation, the humor that was maintained by both me and my husband made us a bit more pleasant for the nurses and doctors to visit, but also made the whole hospital experience manageable. Our favorite visitors were the ones who could be aware of the seriousness of the situation and still find a way to laugh with us. It is very easy to fall victim to despair or frustration when you are feeling powerless. Finding the lightness can tend to steal the power that the dark feelings have over our attitudes and beliefs. Be considerate in humor, but be ready to laugh if there is room for it. You and Tony are gifted teachers (an understatement for sure). You take every opportunity to share life experiences and you turn them into lessons for me and many other people. That’s why I like following your journey and your teachings. While being deeply sorry that Tony had to go through such a life-threatening health crisis, I am amazed at how you both turn a crisis into a teaching “moment”. God bless you and yours. And may He create more people like you! Thank you, Jayne. It is definitely our goal to help others with our own experiences. If one person’s life is improved because of what we have been through, than it makes it worth the pain. Thank you also, for participating in the journey. You are a breath of fresh air always! Wow, Tami! What an amazing post! I watched you on FB during this trying time & I was impressed with your strength. You were in our prayers & thoughts throughout. In times of trouble for our loved ones many of us become foggy & don’t think straight about what we can do. I’m saving this link so I can (hopefully not have to) use it. Thank you so much, Ita!